Time to see how the online supermarket shopping world has changed. I looked at Waitrose, Ocado, Tesco, Sainsbury’s, Morrisons and Asda. I know that Iceland delivers, but I find that their range is limited, so I am not including them. I evaluated the supermarkets on the following and in each category, the top supermarket comes in at position 1. Of course, one position 1 doesn’t mean everything is fanastic, so my top supermarket is the one that has the highest number of 1s and 2s, and this time we have joint winners: Ocado and Tesco, but remember if you want quality food, go to Waitrose, but be ready to pay more…it’s really up to you, but I hope that my research will help you. 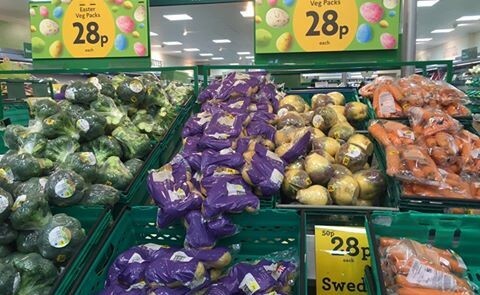 The best news for us veggie lovers is a 2.5 kg bag of potatos for 25 p, or do you fancy a brocolli for 28 p? Supermarkets are always conducting price wars, and these vegetable price cuts are definitely making me a happy bunny. As you may know, I am loyal to no supermarket. I shop at M&S (don’t think I’ve had one bad thing from there ever! ), Sainsbury’s, Tesco, Co-op, Morrisons and Aldi. Basically, I try to steer away from Waitrose as those prices scare me just a little bit…I had to do without brocolli the last and only time I did a weekly shop there, as it was £2…gulp. I don’t mind paying for quality, but there’s a limit. Yep, you read it right, a penny cheaper than Asda! 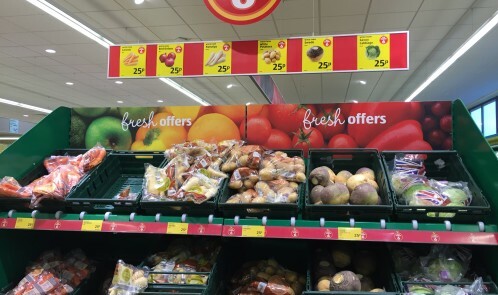 So Morrisons have got a promo on at the mo, where some vegetables are super cheap. I bought carrots, brocollis, potatoes for 28 p each, and there were other veggies there too. It really is heating up in the supermarket wars! And the pack sizes are not stingy either at Morrisons. The carrots are 1kg for 28 p, would have been 68 p normally. Brocolli which tends to be around 49 p for the cheapest and 500 g swede which would be around 50 – 75 p normally. 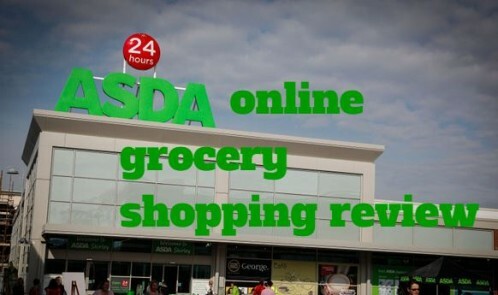 I wanted to try out a few different online grocery shopping experiences and now it’s Asda’s turn. I have booked my £2.50 delivery at Sunday lunchtime for 2 – 4 pm on Monday. Asda states that it has over 1,000 discounted items so I was keen to get my bargain grocery shopping underway. I ordered over £133 worth of shopping across 82 items. I managed to buy about £33 on offers, the rest of my shop was full price. Here’s what I thought of the experience. 1. More expensive replacements were provided when an item wasn’t available. 2. They have nice quality and variety across their own ranges. 3. Fantastic delivery slot availability. From cash back apps, to making lists, here are some tips to making your grocery shopping cheaper. This is such a common sense piece of advice, but it works. Planning meals for the week ahead, checking what you already have and writing a list of what you need will increase your chances of only buying what you need and preventing overspending. Mysupermarket.com is an independent site that allows users to shop across 9 stores to optimise their grocery shop. 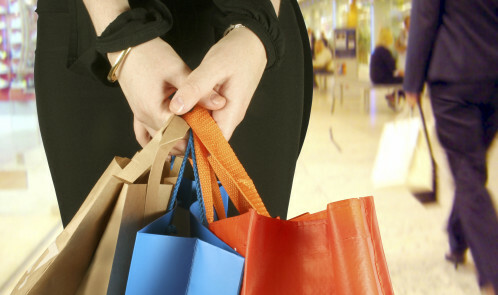 It does a lot of number crunching and analysis of information that it gathers, and that raw data is turned into digestible information that customers can use each time they shop.